If you have acne-prone skin, then you&apos;ve probably heard that dairy products should be avoided. At least, that&apos;s what many facialists, nutritionists and even dermatologists will tell you. 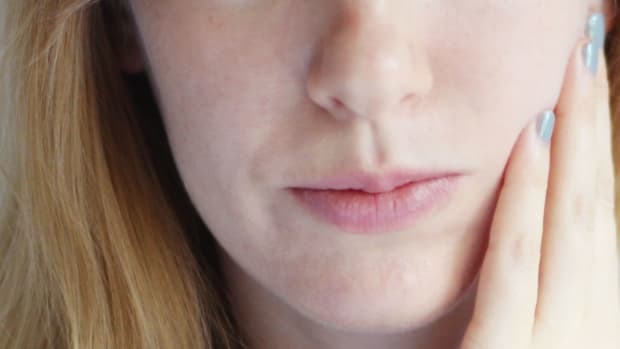 Although its Canadian equivalent hasn&apos;t weighed in, the American Academy of Dermatology says "dairy does appear to be weakly associated with acne, with the strongest association being skim milk." Fortunately, correlation does not mean causation. Here&apos;s the REAL reason why dairy can trigger breakouts, and why you probably don&apos;t have to give it up to get clearer skin. Dairy products boost your metabolism—and your nutrition requirements. What you may not know about milk, cheese, yogurt and ice cream is that they are potent metabolism boosters. Journal of the American College of Nutrition: "Dietary calcium appears to play a pivotal role in the regulation of energy metabolism and obesity risk." Journal of Nutrition: "Diet- and exercise-induced weight loss with higher protein and increased dairy product intakes promotes more favorable body composition changes in women characterized by greater total and visceral fat loss and lean mass gain." Applied Physiology, Nutrition and Metabolism: "Dairy intake is inversely associated with [the metabolic risk parameters of] glycaemia and blood pressure." Obesity: "Suboptimal dairy intakes during preschool in this cohort were associated with greater gains in body fat throughout childhood." In other words, a dairy-rich diet can help you to acquire a higher metabolic rate. So what does that have to do with your skin, you ask? Well, here&apos;s the catch. A revved-up metabolism MUST be supported by adequate nutrition. 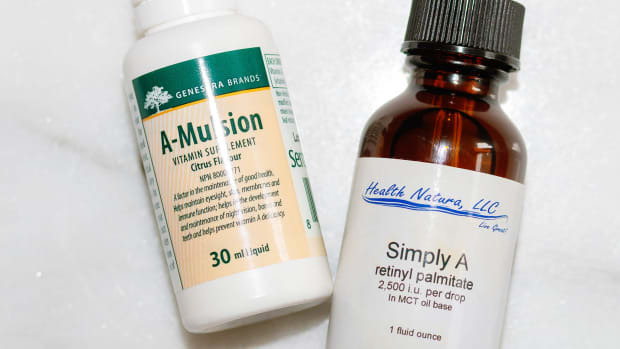 The most important nutrient for keeping skin clear is vitamin A. This is the true underlying cause of dairy-related breakouts in most people—they&apos;re from a vitamin A deficiency exacerbated by the higher metabolic rate. It&apos;s also the reason why people notice their skin clearing up when they quit dairy. This happens not because the dairy is inherently "bad," or because it&apos;s full of "hormones." (The estradiol concentration in skim milk is actually very low, according to this study.) Their skin improved because they lowered their metabolism, and therefore their nutrient requirements, so they don&apos;t need as much vitamin A to stay clear. If you think milk or dairy products are making you break out, consider increasing your vitamin A consumption instead of quitting them cold turkey. It&apos;s always safest to get your nutrition from food sources. Liver has a higher amount of vitamin A than any other food, and usually just one or two servings a week is enough to get rid of acne. Other vitamin A-rich foods include cream, eggs and butter. Foods high in beta carotene, such as sweet potatoes and carrots, are not ideal sources of vitamin A. Most people, especially women, have trouble converting it to active vitamin A in their bodies. 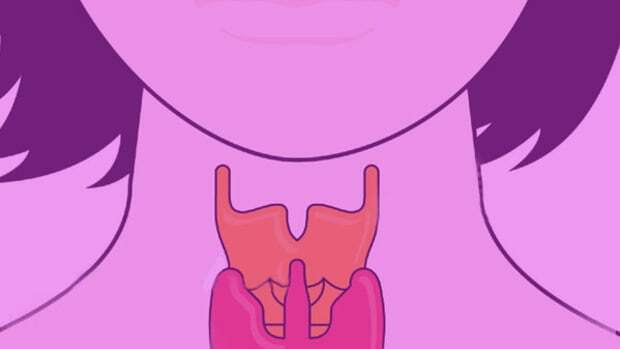 Too much beta carotene can block your thyroid function and interfere with both progesterone and vitamin A synthesis—exactly what we don&apos;t want! I believe the best choice is retinyl palmitate, a retinol ester combined with palmitic acid that gets converted to retinoic acid in the body. Below, I&apos;ve listed the best A supplement options to consider. Dosage is highly individual and can take some self-experimentation, but 5,000 IU is a good place to start! 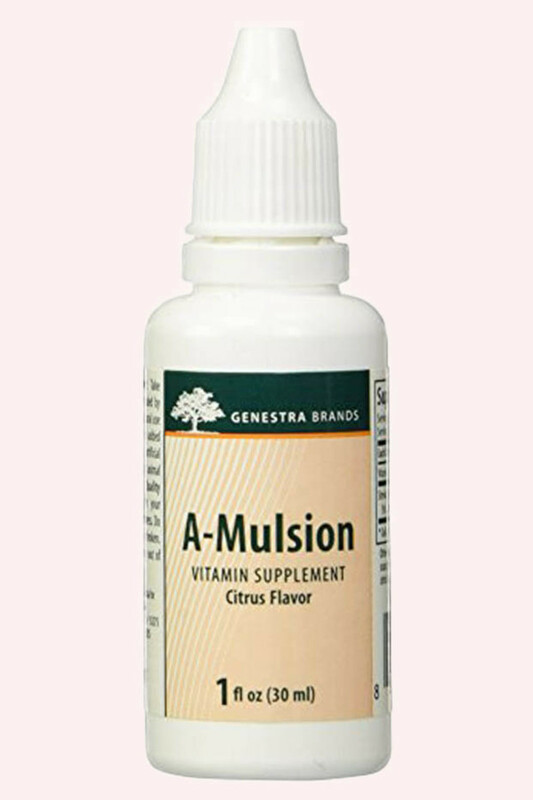 Genestra A-Mulsion contains 10,000 IU of retinyl palmitate per drop. There are a few additives in here that aren&apos;t ideal, but this is the one I&apos;ve been taking for the last few months and it works well! 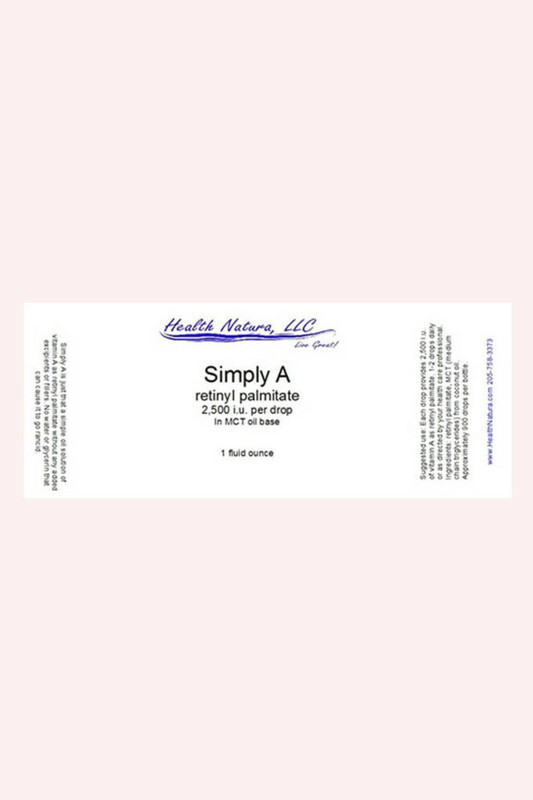 Health Natura Simply A is available in two versions: 2,500 IU of retinyl per drop, or 10,000 IU of retinyl palmitate per drop. No fillers in here, which I appreciate! 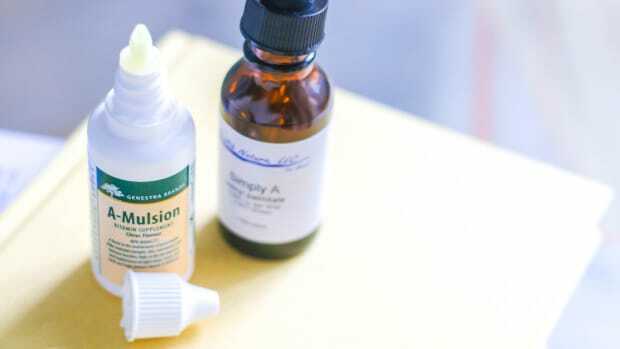 You could even apply this topically as a vitamin A face serum. 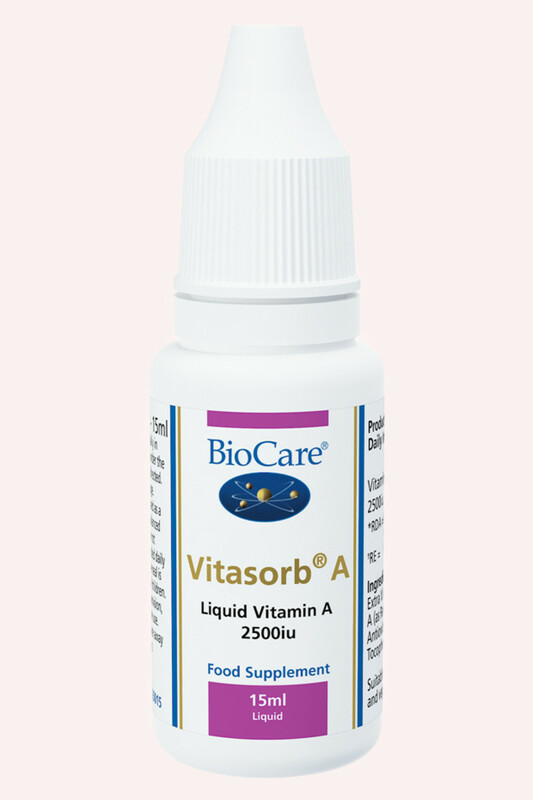 BioCare Vitasorb A contains 2,500 IU of retinyl palmitate per drop. I like the ingredients of this one, too, so looks like I&apos;ll be ordering it soon! 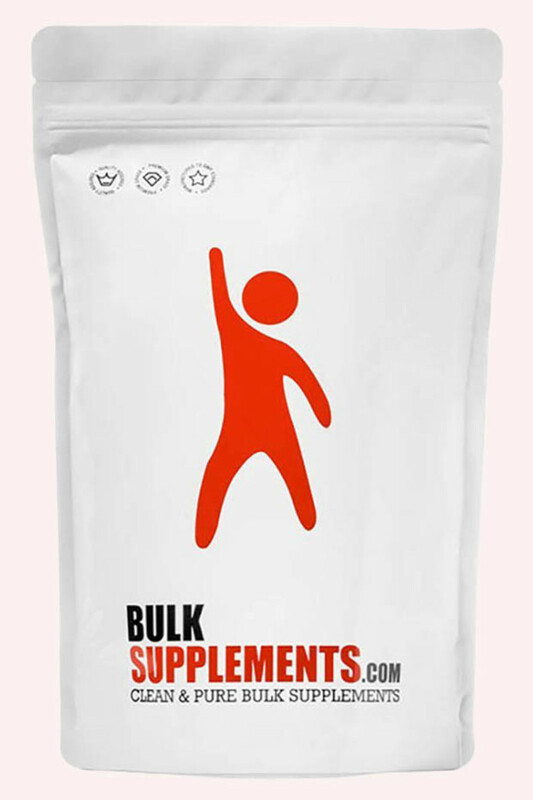 BulkSupplements Vitamin A Palmitate Powder contains 55mg of retinyl palmitate per 55mg serving, so I&apos;m guessing the additives are pretty minimal. They say to take a scant 1/32 teaspoon per day. Balancing dairy with sufficient vitamin A has absolutely worked for me. I have acne-prone skin, and if I told you how much dairy I consume daily, you&apos;d probably fall off your chair! Hint: I&apos;m drinking a glass of milk right now. If anything, I&apos;d say that dairy has made my skin look better than ever. And that&apos;s what the anti-dairy crowd doesn&apos;t get. Sure, by cutting out dairy, you might clear up your acne—but the resulting lowered metabolism could actually worsen your skin texture, tone and firmness (not to mention overall health! ), especially as you age. I&apos;d rather do everything I can to support a healthy, speedy metabolism through good nutrition and addressing any deficiencies—not eliminating entire food groups. If you&apos;d like to experiment with this idea, try to get in the habit of tracking your pulse and temperatures, as they&apos;re an excellent indicator of whether your diet is boosting or lowering your metabolic rate. I&apos;d love to hear about your results! Do you break out from dairy? What results have you experienced from increasing vitamin A ?